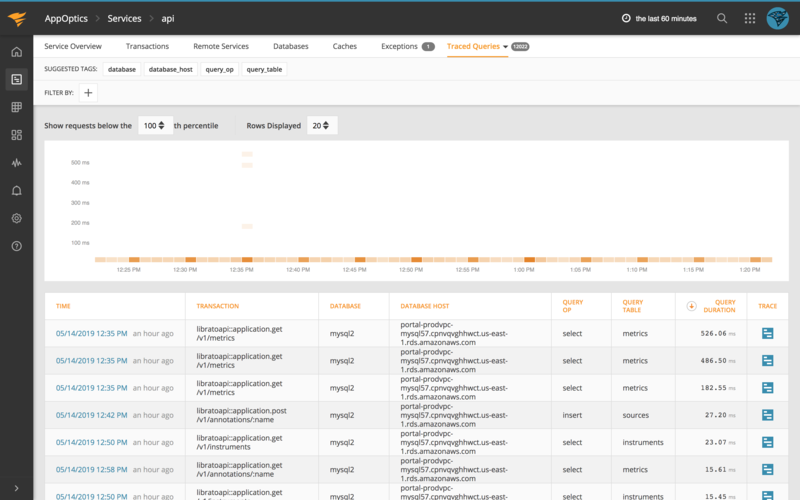 AppOptics automatically tracks database queries from the instrumented application. Databases provides you with the tools to analyze and troubleshoot frequent and long running SQL queries. 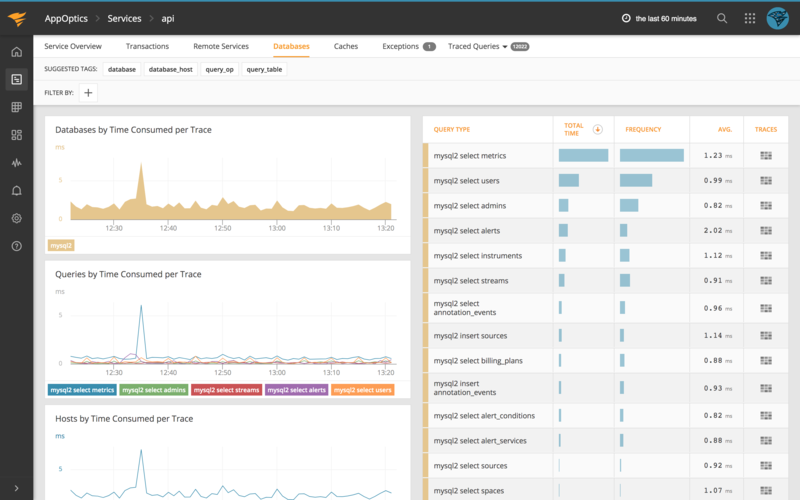 This overview includes analytics on the time consumed per trace at the host, database, and query level. The SQL query table allows you to quickly identify long running queries and inspect the individual traces which are invoked. By using the Filter By feature you have the ability to filter by any of the suggested tags, e.g. drill down into specific database hosts, databases, query operations, and query tables. For queries that involve multiple operations, only the first operation in the query text will be presented. However, the full text is available on drill-down to traces. The table being queried, if relevant. For queries that span/join multiple tables, only the first table referenced in the query text will be presented. However, the full text is available on drill-down to traces. The data in this view is gathered from sampled transaction traces, so it can all be mapped to example traces. Read more about sampling.